Last week, Sony Pictures was crippled by a cyber-attack from an organization known as the Guardians of Peace (G.O.P. ), which disabled all of their communications inside the company. The organization threatened to expose the studios' "top secrets" if their demands were not met, which have not been been disclosed. Over the weekend, G.O.P. leaked five Sony movies onto the Internet, four of which have not been released in theaters yet. The movies that were leaked online include Fury, Annie (December 19), Mr. Turner (December 19), Still Alice (January 19, 2015) and To Write Love On Her Arms, which doesn't have a release date set. Over the weekend, Mashable received an email from an individual claiming to be the, "boss of the G.O.P." The site claims that their email sent in response went unanswered by the G.O.P. Take a look at an excerpt from that email below. "A few days ago, we told you the fact that we had released some of Sony Pictures films including Annie, Fury and Still Alice to the web. Those can be easily obtained through internet search. We have much more interesting data than you know." The email also included internal Sony documents, including syndication contracts for Sony TV shows such as Seinfeld and Dr. Oz. A majority of the documents were said to be at least a few years old, but they haven't been verified as authentic Sony documents. Here's what a Sony spokesperson had to say about the cyber-attack. "The theft of Sony Pictures Entertainment content is a criminal matter, and we are working closely with law enforcement to address it." 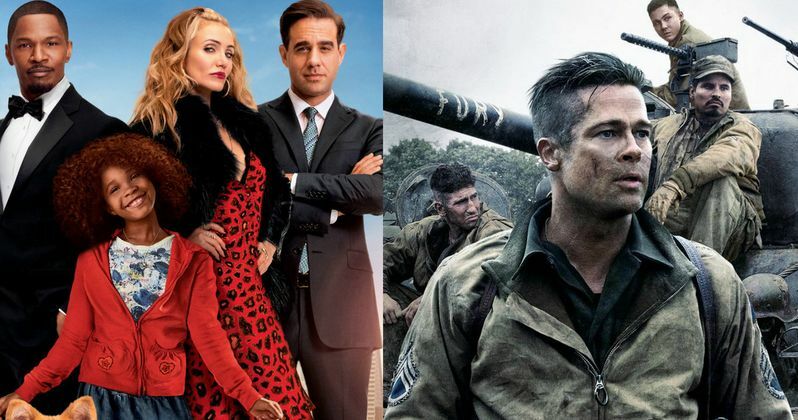 Variety also reports that, since the movies leaked online, Fury has been downloaded more than 1.2 million times, while Annie has been downloaded by over 206,000 file-sharing users, as of yesterday. File-sharing tracking service Exipicio also revealed that Still Alice was pirated by 103,832 users, followed by Mr. Turner's 63,379 illegal downloads and To Write Love On Her Arms with 19,946 downloads. While it isn't exactly known what provoked G.O.P. 's attack, or what their demands to Sony Pictures are, there has been speculation this could have been an inside job. Another report claims North Korean leader Kim Jong-Un may have been behind the leaks, as a retaliation for Sony's upcoming comedy The Interview, which centers on a celebrity journalist (James Franco) and his producer recruited to kill Kim Jong-Un by the U.S. government.